Most unluckily, nursing home abuse and nursing home neglect have become so rampant. Since majority of nursing home staff members are poorly paid and lack the requisite training, they offer inadequate and subpar care. In case you or your loved one has been the victim of nursing home abuse or nursing home neglect in New Jersey or surrounding area, our medical malpractice attorneys at Aiello, Harris, Marth, Turnero & Schiffman will be glad to help you. Nursing home abuse happens when a caretaker deliberately causes harm, suffering, or pain. Sexual abuse: This type of nursing home abuse includes battery, inappropriate touching, sexual assault, or any non-consensual sexual activity. 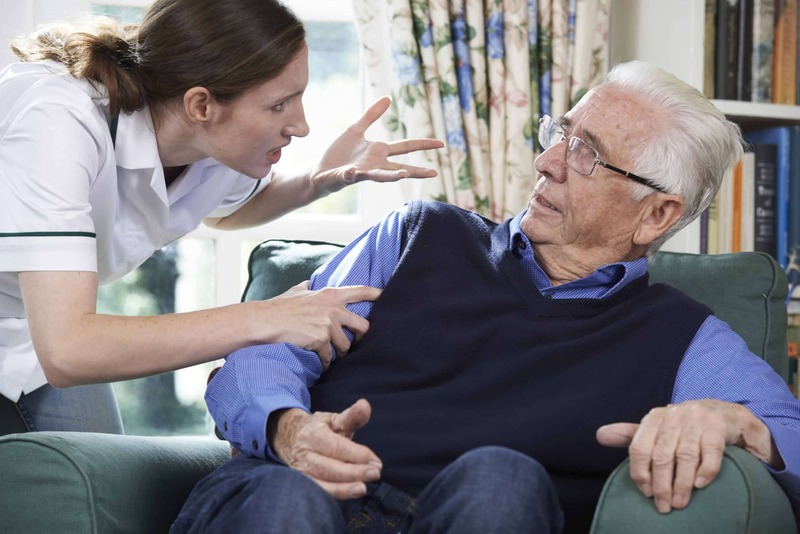 Emotional abuse: This type of nursing home abuse can be verbal or nonverbal and includes cursing, threatening, humiliating, scolding, demeaning, ignoring, or intimidating a resident. Physical abuse: This type of nursing home abuse includes scratching, slapping, shoving, hitting, force-feeding, and excessive forms of restraint. We can provide expert legal guidance and help you pursue compensation on behalf of your loved one successfully. Proper identification of nursing home abuse requires careful observation. Majority of the residents have a limited capacity to communicate, thus it is important to visit the residence frequently and at different times of the day to make observations. If you suspect that your loved one is suffering from nursing home abuse in New Jersey, do not hesitate to contact Aiello, Harris, Marth, Turnero & Schiffman nursing home abuse attorneys to discuss your concerns in detail. Medical neglect: This type of nursing home neglect includes failing to provide appropriate health care, poor access to medical aid, and the administration of inappropriate medication. Physical neglect: This type of nursing home neglect includes poor bathing techniques, lack of toileting, and incorrect body positioning. Failure to prevent and assist: This type of nursing home neglect includes a failure to assist the resident in eating, drinking, bathing, or toileting, ignoring cries for help, and isolation. In case you have witnessed the symptoms of nursing home neglect in your loved one or in another resident of the facility, contact the nursing home abuse attorneys of Aiello, Harris, Marth, Turnero & Schiffman today. In case you suspect that your loved one is in immediate danger arising from nursing home abuse, quickly call the police right away. In case there is no immediate danger and still you suspect nursing home abuse or nursing home neglect has occurred alert the ombudsman, or the Department of Health, or the administrator of the facility. Lastly, you should contact the personal injury attorneys of Aiello, Harris, Marth, Turnero & Schiffman. We can advise you of your rights and ensure that your loved one is removed from danger. Call the attorneys of Aiello, Harris, Marth, Turnero & Schiffman at (908) 561-5577 or contact us online to schedule a free consultation and begin your case.